The Male Elite Hockey Trophies make cool awards for experienced players, coaches, or MVP's! 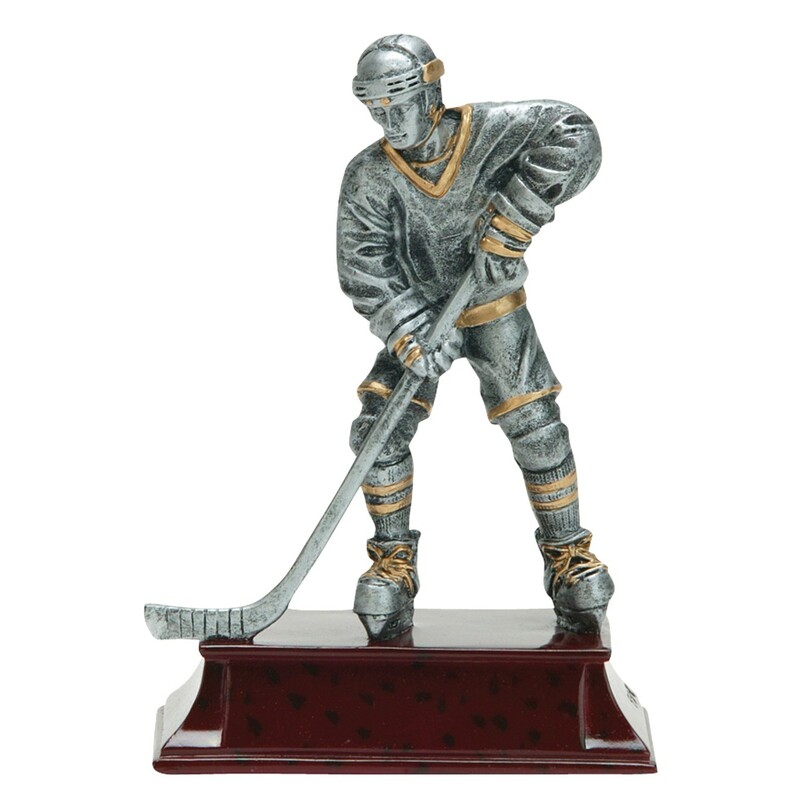 Made of resin, these trophies resemble cast pewter with golden highlights. They feature a male hockey player in an offensive position attached to a mahogany colored base. Your FREE customized engraving is attached to the base.